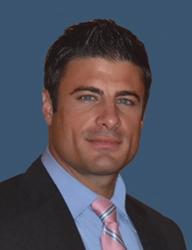 Justin Bonura is a New Jersey Licensed Mortgage Banker and Division Manager at NJ Lenders Corp. He is also licensed by the New York Department of Financial Services. Justin was awarded Top 200 Mortgage Originators Nationwide by Mortgage Executive Magazine for the last three consecutive years. He was Ranked Top Producers 2017 and 2016 National Mortgage News, and received "Top Producer " Award by Scotsman Guide for Overall Volume & Production since 2015. Justin has also received the "New Jersey 5-Star Mortgage Professional" award given by New Jersey Monthly Magazine for overall satisfaction and customer service. He is a graduate of Drew University with a major in Economics and a minor in Business Management. His was inducted into the Hall of Fame at Drew for his outstanding career as a soccer player. Justin is also a graduate of Don Bosco Preparatory in Bergen County. Justin has the expertise and knowledge to help you determine the absolute best loan program to meet your financial objectives. As a mortgage banker, he walks every client through each step of the process from preapproval to closing. Justin specializes in non-warrantable condos, jumbo loans, FHA, 203k, VA, USDA loans and first time home buyers.